Preparing for a party and need to keep that cake or platter of sandwiches fresh for the next day? With the full-width pantry, you'll have all the space you need to make sure your creations remain as fresh as the moment you finished them. Minimize the need for bottled water with an interior dispenser that offers cold, filtered water at your fingertips and save money! 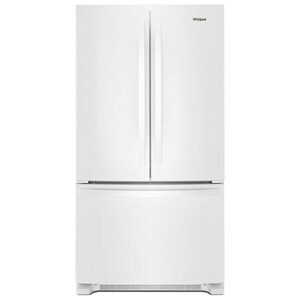 With adaptive defrost, you save energy while also avoiding those undesirable low temperatures in your refrigerator. By activating a defrost cycle only when absolutely necessary, your food will last much longer. Not only can you be organized as much as possible; now, you can do it as seamless and modern like never before. Store more items on each shelf with wall-to-wall frameless glass shelves, which offer greater storage ability. With the Accu-Chill™ Temperature Management System you'll save money on your energy bills, while also being able to chill your perishables quicker and more efficiently to keep them fresher for longer. This system uses built-in sensors to monitor your refrigerators internal temperature and adapt to the amount of food you have stored. 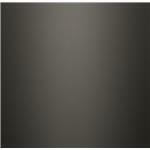 It activates the compressor only when necessary to keep energy consumption as low as possible. 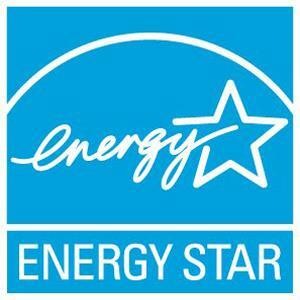 Rest assured that your appliance won't cost you more on utility bills, while also helping to conserve precious natural resources. Ever open your refrigerator vegetable drawer for that fresh head of lettuce, only to see it browned and withered away? Keep your fruits and vegetables as fresh as possible for as long as possible with humidity-controlled crisper drawers. Your bottled water expenses will be history with the EveryDrop™ 6-month Water Filter. Just by changing your filter twice a year, you'll be saving up to $600 compared to the same amount of bottled water, while having the same impurity free taste directly through your refrigerator. 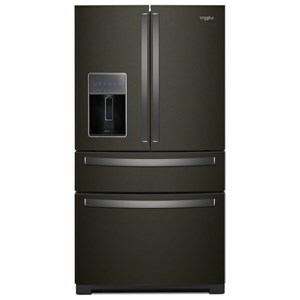 Get the storage your family needs and easily access filtered water with this refrigerator with water dispenser. Crisper drawers provide room to store fruits and veggies in their ideal environment while the produce preserver helps produce stay fresher longer. 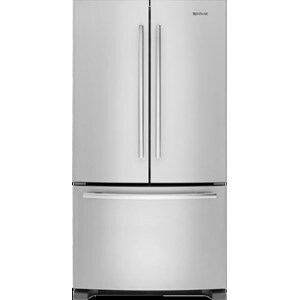 This ENERGY STAR® certified refrigerator also has LED lighting to keep food looking as great as it tastes. 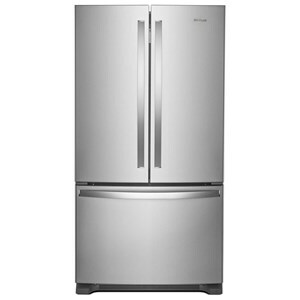 The French Door Refrigerators 36-inch Wide French Door Refrigerator with Water Dispenser - 25 cu. 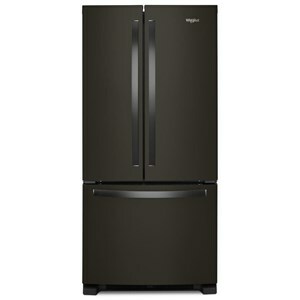 ft. by Whirlpool at Furniture and ApplianceMart in the Stevens Point, Rhinelander, Wausau, Green Bay, Wisconsin Rapids, Marshfield, East and West Madison, Wisconsin area. Product availability may vary. Contact us for the most current availability on this product. 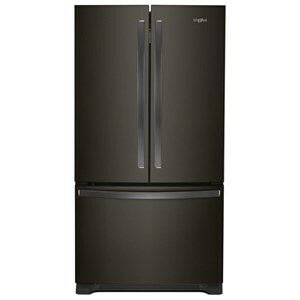 Capacity: Total 25.2 Cu. Ft. 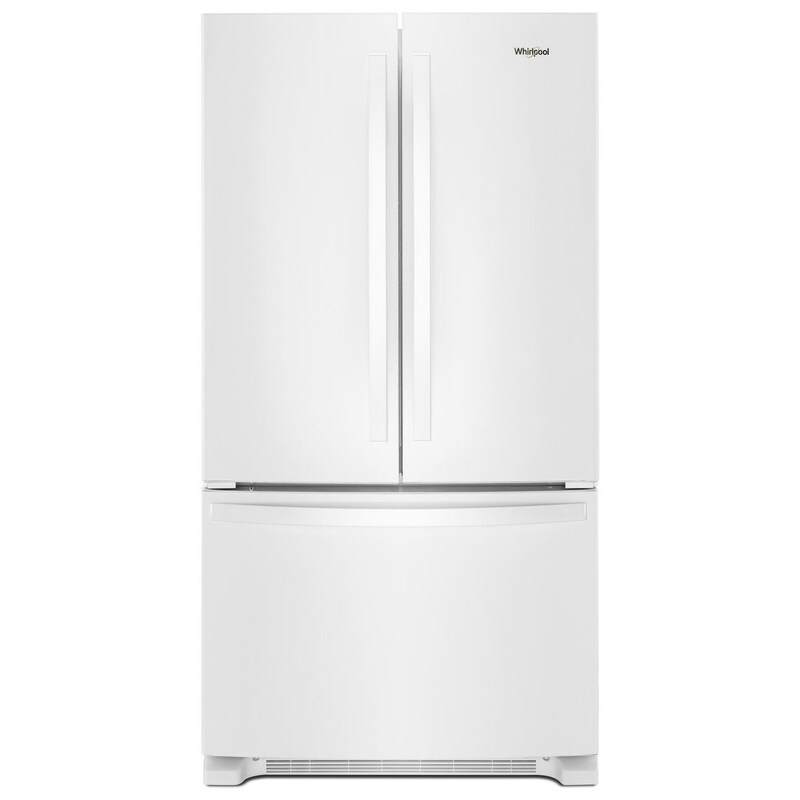 The French Door Refrigerators collection is a great option if you are looking for Appliances in the Stevens Point, Rhinelander, Wausau, Green Bay, Wisconsin Rapids, Marshfield, East and West Madison, Wisconsin area. 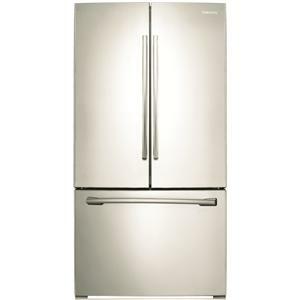 Browse other items in the French Door Refrigerators collection from Furniture and ApplianceMart in the Stevens Point, Rhinelander, Wausau, Green Bay, Wisconsin Rapids, Marshfield, East and West Madison, Wisconsin area.